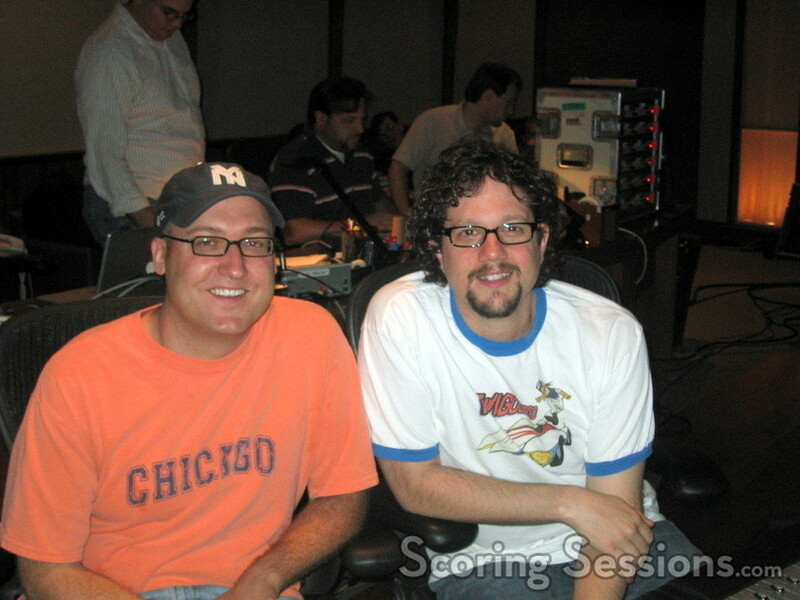 This week, at the Eastwood Scoring Stage at Warner Brothers, composer Michael Giacchino returned to the superhero genre with the Walt Disney family film, Sky High. Directed by Mike Mitchell (Deuce Bigalow: Male Gigolo, "Greg the Bunny"), the film is set in a world where superheroes are a part of every-day life. The film focuses on Will (Michael Angarano), the son of two of the most famous superheroes (Kurt Russell and Kelly Preston), and how he deals with going to his new school: Sky High (a special school for the children of superheroes who themselves might have super powers). Giacchino, fresh off of his one-two punch on television with "Alias" and "Lost", used the same team he’s been using for years. 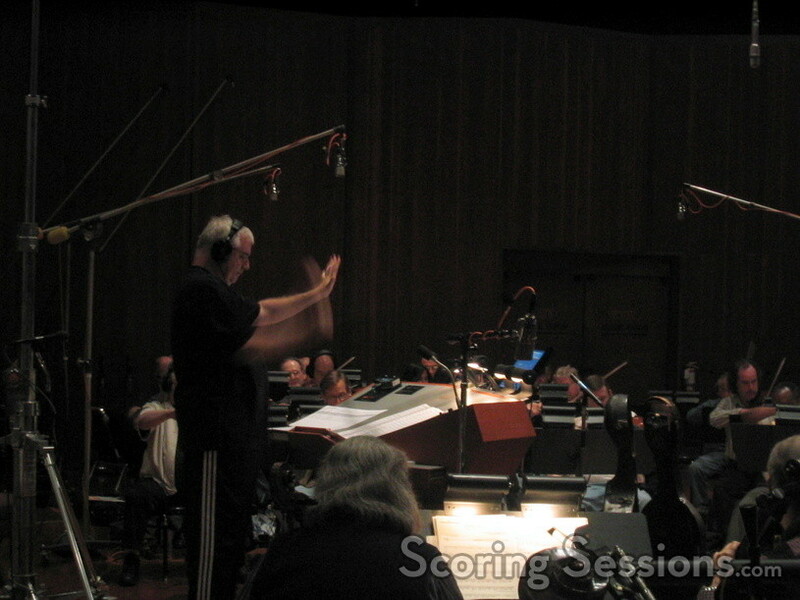 Orchestrator / conductor Tim Simonec led the 82-piece orchestra (contracted by Reggie Wilson), while Dan Wallin helmed the mixing board. 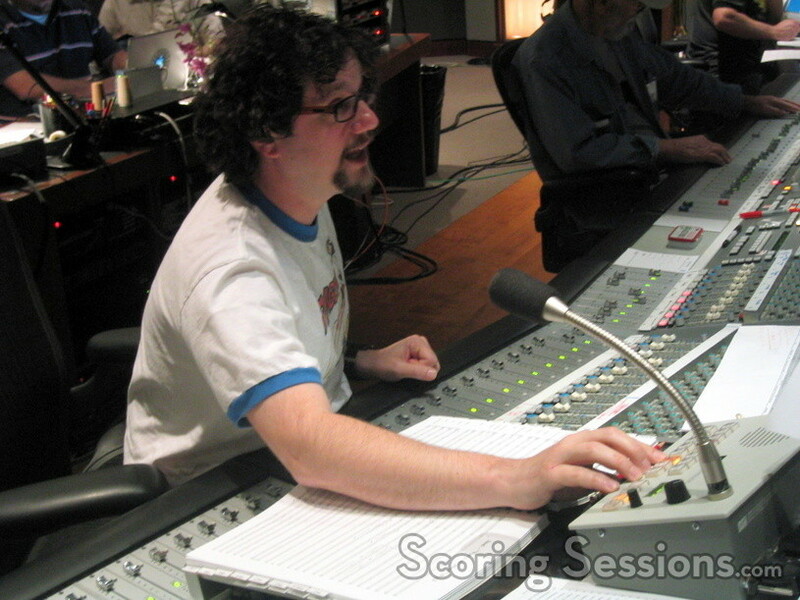 Chris Tilton, who provided additional orchestration, manned the Digital Performer rig, while music editor Steve Davis – assisted by Alex Levy – kept the music in order. With The Incredibles, Giacchino had gone for a retro 1960s vibe, but with Sky High, he has a lot more freedom. The resulting score has a main theme bursting with triumphant heroism. Action cues are brassy and bold. Some of the smaller cues vary in tone and style, from sparse tension, to the string-heavy emotional cues that fans of "Lost" will truly appreciate. There’s even an other-worldly theremin used for some of the quirkier moments. Giacchino said that he wanted the score to be "fun, but serious" – he recalled the way he felt growing up watching the Max Fleischer animated "Superman" cartoons, and so he filled the score with large orchestral Americana. According to director Mike Mitchell, the film is first and foremost a high-school film. "We have all of the high-school film moments. The climax takes place at homecoming. There’s a cafeteria fight. There’s a party when the parents aren’t home," explained Mitchell. "But the twist is that they have super powers." Additionally, in homage to the classic John Hughes films, all of the pop songs in the film will be 80’s songs. 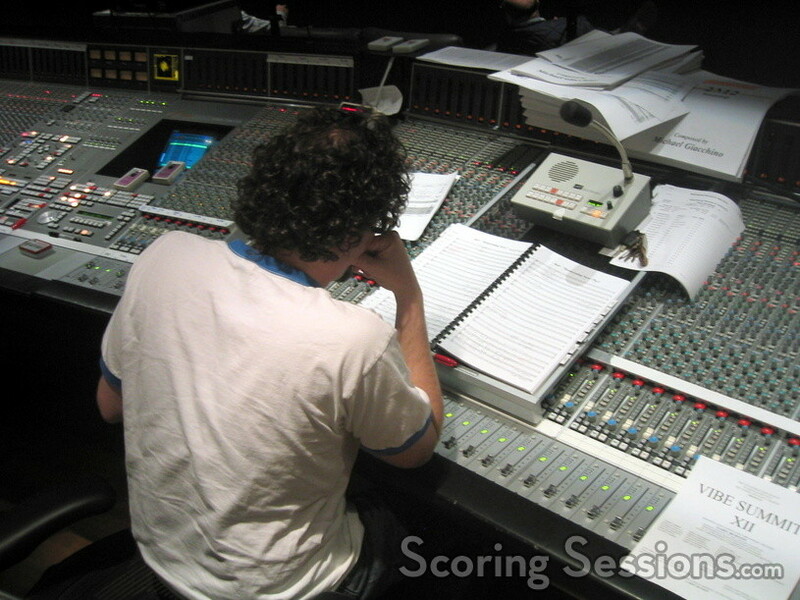 Like a well-oiled machine, the orchestra blazed through the cues, resulting in them being ahead of schedule. Once again, this is a testament to the quality and professionalism of the Los Angeles-based session players. Sky High opens on July 29, 2005. A song album is in the works, and hopefully a score album will be forthcoming as well.